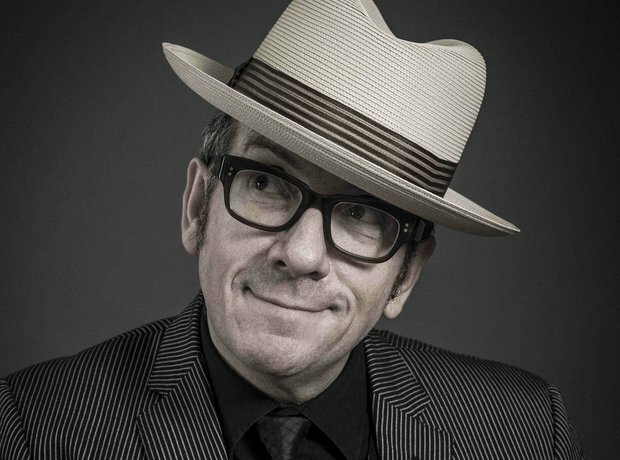 Elvis Costello famously worked as a data entry clerk in the "vanity factory" at Elizabeth Arden, who he namechecks in the lyrics to his I'm Not Angry track. Before launching The White Stripes and becoming a legendary guitarist, Mr White was an upholsterer; a pretty good one! He had his own business - Third Man Upholstery. Although it wasn't unprofitable, White packed it in because he was useless at the management side of things and stardom was beckoning. At one point, the Prince Of Darkness worked, aptly, in a slaughterhouse. He worked there for two years, apparently killing cows. The legendary tale that he bit the head off a bat doesn't seem so surprising now. Ozzy wasn't the only member of Sabbath to have a bizarre pre-rock job. Guitarist Tony Iommi worked in a steel factory where he famously lost the tips of his middle and ring fingers in an accident. Gallagher Senior was a roadie with Inspiral Carpets with our very own Clint Boon before joining Oasis. He toured with the Manchester legends for two years before leaving and starting Oasis. Brandon Flowers worked as a bellhop in a Las Vegas hotel before striking the big time. He's described the job as horrendous, but imagine dropping your bags off at a Travel Lodge and seeing Flowers carrying them off. Amazing. Before taking over the world, Jagger worked as a porter in a mental hospital. Supposedly he earned a whopping four pounds, ten shillings a week. It's safe to say he earned a little more as a rock legend. Joe Strummer was unbelievably a grave digger at St Woolos Cemetery in Newport, Wales in the years before forming The Clash. 11. Tim Burgess: post for you! The Charlatans front man was a mail delivery boy and, according to his autobiography Tellin' Stories, he was pretty happy doing it! The Roses' guitarist was always a bit arty - he painted the band's sleeve art, of course. But pre-fame he worked at Cosgrove Hall, an animation studio in Manchester and worked on the TV series The Wind In The Willows. The company also employed Bernard Sumner of Joy Division at one point. Dave Rowntree has broken the mould and got a day job post fame. As well as being a fully trained pilot, he's also a barrister and a broadcaster. Before becoming the mesmerising frontman of Joy Division, Ian Curtis used to work for the Manpower Services Commission in Manchester, then at the local Job Centre in Macclesfield, finding work for disabled people.